Delayed Start One couldn’t ask for a better weather for a cricket match. The Engineers reached the Edogawa ground by 9:15 as advised by their captain Bobby earlier only to see a couple of Dragons until 11AM when 9 Dragons including call-ins from Myoden arrived. Bobby won the toss and elected to bat first. To make things even Engineers loaned their new find and spinner Nitin Dafraik(bad decision in hind sight) to Dragons so both teams have 10 players each. Ultimately as history would say it proved too expensive for the Engineers.The Batting Anil and Udayaraj opened the batting. Based on the previous mauling the Engineers handed to the Dragons in a serious KCL match earlier, skipper set an ambitious target of 300 in 30 overs. But soon Anil got out edging a delivery from the 2nd bowler to the keeper. 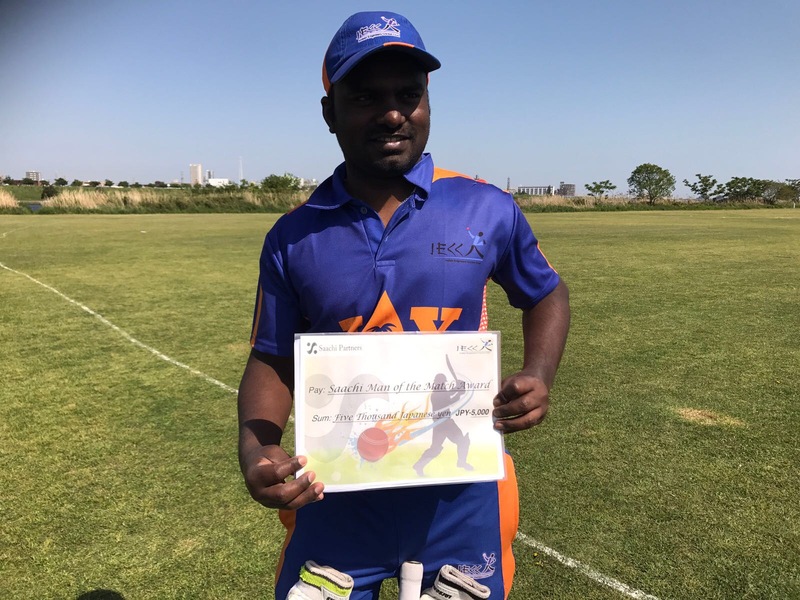 In form batsman Sanjeeb, who has scored a century in the last encounter against the same opponent, went in and was back after couple of deliveries , a miss hit went to the leg gully and the fielder managed to hold on to a superb catch. Raju was the next man in and was also back soon , first of the many run outs to follow. At 3/23(the Aussie Violet Crumble), the Engineers, as usual by now, revised their target to 150. Bobby went in and provided some stability. Raj in the other end was looking good and hitting 4s and 6s at will. But he also perished soon trying to hit an aggressive shot missing the line completely. 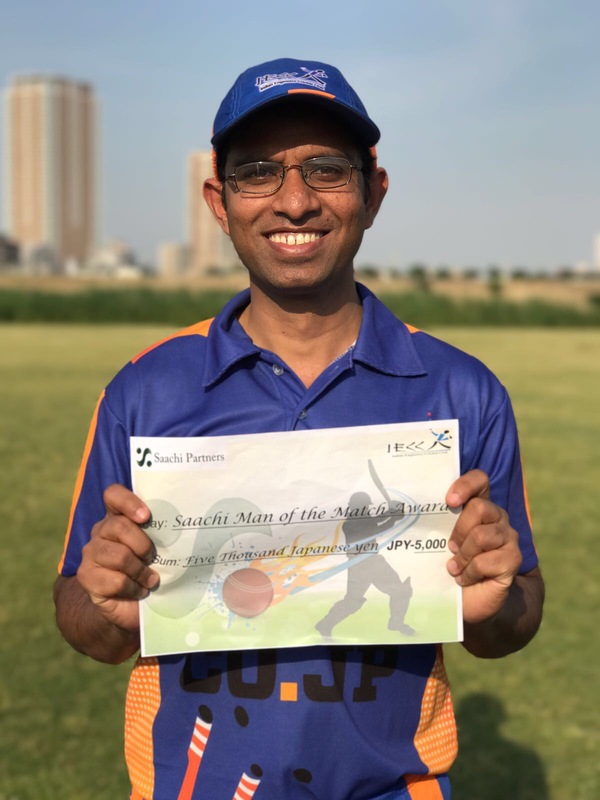 Next man Santosh was run out as soon as he went in, in a similar fashion as in his last match at YCAC, responding to Bobby’s call for which he took off like a bullet, not watching the ball properly as the ball went to square leg. Unfortunately, the speed of the return throw was faster than the old legs of Santosh. He returned back to pavilion as a dejected soul cursing Bobby :-). 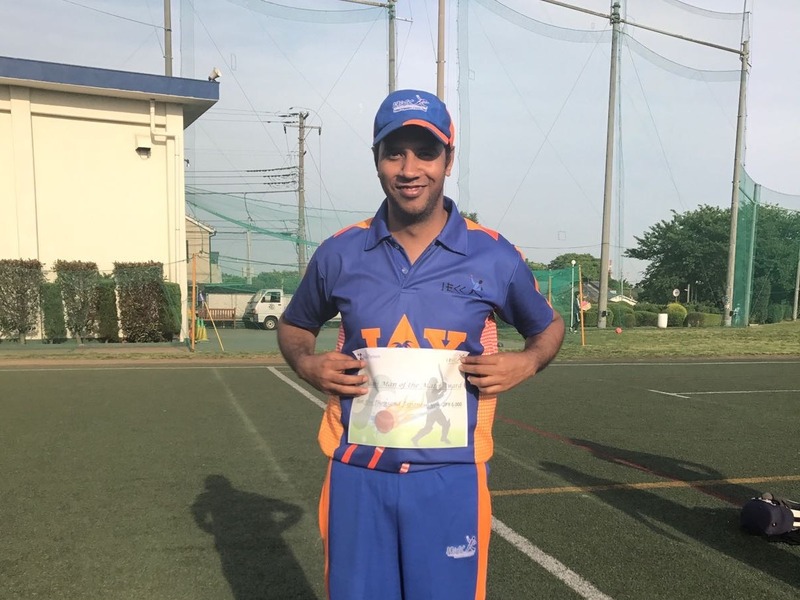 New man and new comer Sandeep Balaji went in and tried hitting all shots that exist in the cricket book but connected only a few, thanks to lack of practice and too much beer the previous night at Roppongi. However, Bobby and Balaji’s partnership saw us past 90, thanks to many extras from Dragons. Balaji was eventually got himself run out. That brought in Jagan to the crease. He seemed to be in good nick and batted well to see us past 100. Bobby was next to go , trying to negotiate the final deliveries before drinks break. Last ball of the last over before drinks, he stepped out of his crease to defend one from the on-loan Nitin. The ball spun and the keeper did a neat job behind the stumps. Nitin bowled a decent line and length throughout his spell and was rewarded with three wickets, not to speak of the run-outs he effected. Bikash was the next man and provided vital support to Jagan. However a straight drive went straight to the bowler and the bowler did well to grab on to a very low return catch. Bad luck for Bikash and the Engineers. Last man in was Amit. He tried to hang on to one end but was unable to do so for long time, and the Engineer were bowled out for 147. Not a bad score under circumstances and given the original target. Raj, Jagan and Bobby made some valuable contributions. The majority of the runs came by way of extras though. The Bowling In the absence of the opening bowlers, Sanjeeb was given the new ball. But he surprised (did I?) everybody bowling about 6 wides in the first over. The beer and smoking the previous night night had its toll(a convenient thing to blame). Raju bowled from the other end and had one of the Dragon openers run out , thanks to a superb fielding effort from Balaji. Sanjeeb got Dragons captain caught behind in his 3rd over and the Engineers were sensing a possible win at that point. But the next batsman Veslie and the other opener had other plans in mind. They played cautiously and were not in any mood to take any serious risks considering the low asking rate and the abundance of wides offered by our bowlers. Santosh bowled couple of good overs for a change. 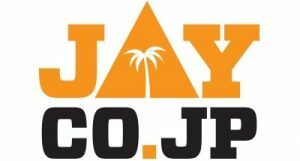 IECC 147/all out (25th over)Udayaraj 24, Jagan 24*. GS Dragons 148/4 (21st over). Accurate figure to follow if Bobby manages to get the whereabouts of the scorecard. (Scorecard is with someone from Myoden and the captain of GS Dragons would be coordinating to get it back to us soon.